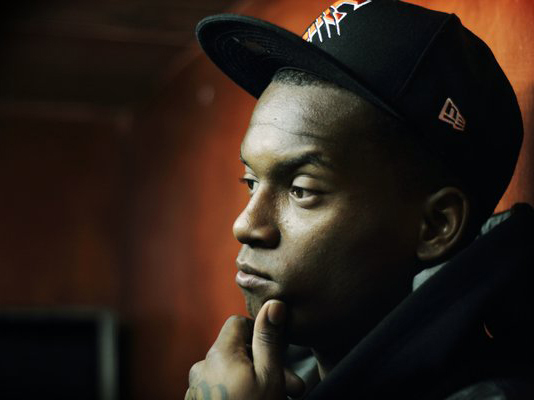 During a recent stop in Santa Cruz, California’s rapper Fashawn spoke with Amadeuz TV about a number of topics and also promises an album before 2012 and talks about working with J.Cole, Odd Future, and more collaborations with Blu. This Fresno artist also talks about his forthcoming album, the sequel to his critically acclaimed debut ‘Boy Meets World‘. Fashawn had a few nice things to say in this interview about J. Cole who he has worked with before in the past. He also shares his feelings about Odd Future and his “refreshing” movement. Although many fans who support Fashawn have been able to catch him on his mixtapes, they’re eagerly awaiting for his next full-length album. According to Fash, they won’t have to wait long. He’s been working on fresh new material with the Dirty Science collective; a crew that also features Blu, Exile, and others. Fashawn has also started working on his next solo album set to be released later this year that’s been striking anticipation in the hearts of fans. In addition to everything he’s doing, he said he will even attempt to try and write a movie. When Fashawn was asked about his performance with Blu and Exile at Paid Dues this year, he said fans can expect an even better set for Rock the Bells. With that said, it appears Fashawn has plenty of expectations to meet. “It’s going to be even crazier because I’m also bringing my band…It’s going to be like the Paid Dues set but on crack. Watch the interview below to find out more.